If a classic taste of Italy is what you’re searching for, then I am pleased to tell you that the search is over! Omaggio Pizzeria, located in the Metropolitan, saves you a trip to Rome by serving up authentic Italian pizzas and other classic Italian eats. The passion for pizza and people is evident as soon as you walk in the doors of Omaggio. The service here is so personal; the staff is warm and friendly, quick and attentive, and very helpful. This is the place you come to eat really good food, be served well, and leave already planning your next visit back. The atmosphere of Omaggio has a clean rustic feel with white marble, wood accents, and even a section of counter top seating where you can see all the magic (pizza making) happen! 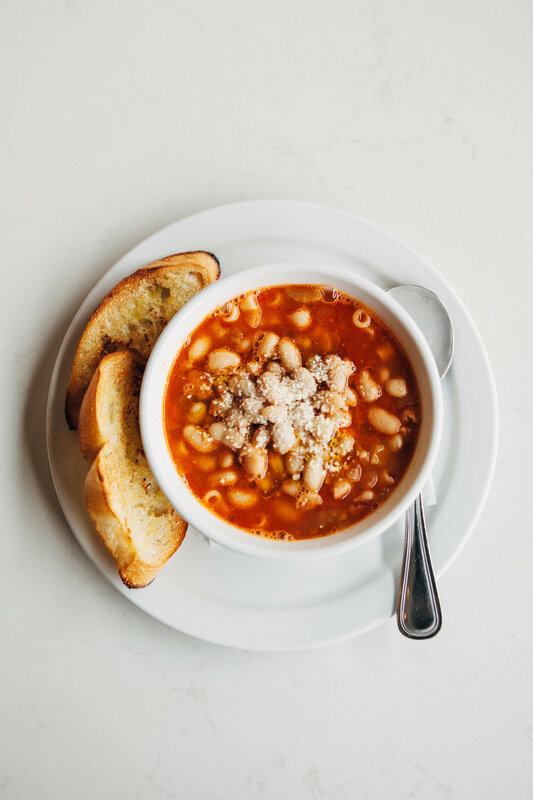 Owners, Daniel and Maria Siragusa, are a husband and wife team that has brought an authentic Italian inspired pizzeria to the heart of Charlotte. This passionate team carefully curated Omaggio’s menu and wine list with the mission to satisfy anyone and everyone that steps foot into their pizzeria. Daniel says his food is simple, and that’s what makes it so good. Omaggio is Italian for “tribute”, an act of respect and admiration. This pizzeria pays tribute to good, authentic, and classic Italian food and cooking styles. Daniel suggests a first-timer to try the Regina Margherita, a classic pizza with tomato sauce, mozzarella di bufala, extra virgin olive oil, and fresh basil as a garnish. To accompany your meal, Omaggio carries some local beers but I suggest ordering a Peroni- a traditional pale lager from Rome itself! For my vegan friends, Omaggio has a pizza for you too. A classic vegan-friendly pizza, the Marinara, can be found at any pizzeria in the streets of Italy according to Daniel. Tomato sauce, fresh garlic, chopped parsley, and extra virgin olive oil create a great classic that anyone would enjoy. And for an extra dollar, you can have your favorite pizza made with whole wheat or gluten-free dough. If you’ve saved room for dessert, Daniel suggests trying the tiramisu. Maria, half of the Omaggio husband and wife duo, bakes the beautiful and delicious homemade pastries daily! Maria is also the creative source behind the rustic menu and fresh interior design. For Daniel and Maria, the food is their passion but it’s also about the people. They see Omaggio as a place for everyone... a place where people feel so comfortable that they not only return, but when they do come back, they bring their families and friends- making Omaggio a place that fosters community. kind spot here in Charlotte.